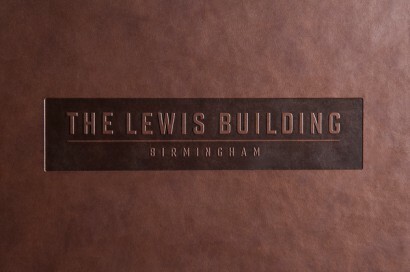 The Lewis Building is a new 112,000 Sq Ft development in Birmingham’s city centre. A refurbishment of the original and much loved Lewis’s store the scheme completes Summer 2017. Outfit have produced pre-completion material to help joint agents CBRE and GVA let the Grade A space. Architects EPR have designed a new building rich in heritage but bang on the moment. The ground floor and reception styling is grand and majestic, drawing from boom period New York Manhattan with dashes of contemporary cool. 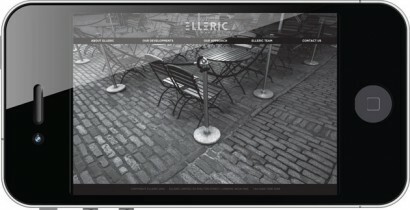 Independent central London developers Elleric needed a new identity and site that reflected their niche reputation. We designed and built a new site that would spearhead their new ID and establish a repository for completed projects and showcase ongoing work. Elleric focus on bespoke and predominantly Soho and Covent Garden residential opportunities and the look and feel needed to sit happily with their maverick personailty. 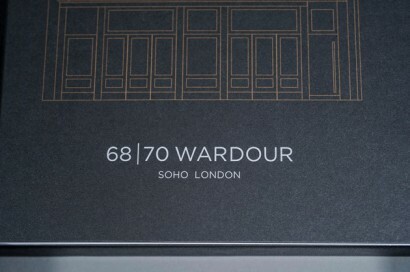 68-70 Wardour Street is Marcol's residential development in the heart of Soho. The building housed a central London printing works in the last century and is being developed into 4 warehouse type apartments with a duplex penthouse on the top floor. Large, front to back apartments are a bit of a rarity in the west end and we produced a pre-completion Preview brochure that draws on the area's filmic setting and highlights the rich metallic and dark materials fit out. 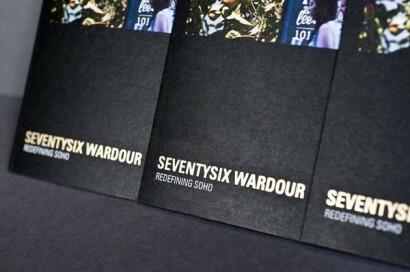 76 Wardour Street is a significant 34,000 SQ FT, 5 floors, office development in Central London. Outfit have produced a range of marketing materials to support DTZ and Edward Charles & Partners activities and apart from a single remaining floor all space in the building has been successfully let. Prime Central London developers Dukelease have been working on 29 spa-style apartments in London's Covent Garden. Located in the conservation area around Bedfordbury and just off New Row the scheme is due for completion in 2015. We've helped produce pre-completion marketing, including a 68 page, case and flat bound brochure that really sets the tone of the soon to be finished building. 6 Agar Street is the 60,000 SQ FT development by Legal & General. 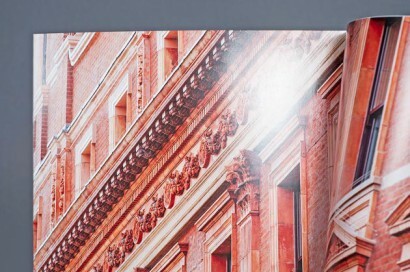 We've produced a whole range of materials to help west end agents Knight Frank and CBRE lease the Covent Garden property. Pre-completion work included a work in progress architects project packs, project diary website and marketing suite. 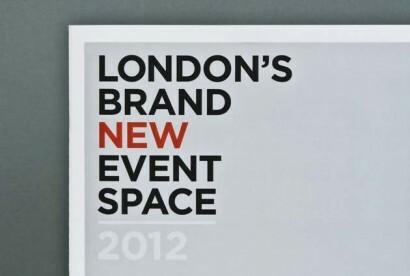 We produced all the agents launch event support items and completion literature once the building was finished. Stevenage's favourite Leisure Park was all looking a bit tired and creaky. A new identity and a general lick of paint throughout has given it a complete makeover. 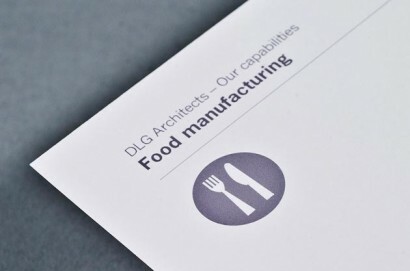 We've been helping DLG Architects over in SE1 to better communicate their capabilities with a new look and feel. 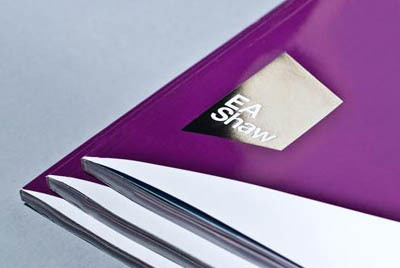 We've worked within an existing structure by creating a much more distinctive and striking look for a range of capabilities brochures that can be easily produced and fit within a family set. 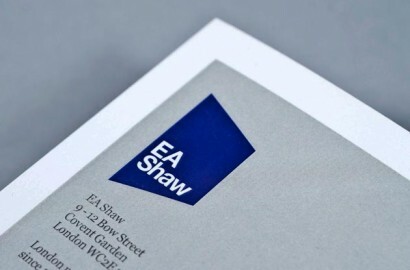 EA Shaw wanted to make a feature of the properties on offer in their new, beautifully refurbished offices in Covent Garden. A consistent style for the commercial and residential sides of the business had to accomodate wildly different styles, sizes, and values of properties across the portfolio. We're helping Central London property agents EA Shaw develop their communication strategy and some of the first ads to roll off are appearing in the press. The agency are focused totally on letting, selling, managing and consulting on property in the centre of London and pretty much own the zeitgeist on Covent Garden. 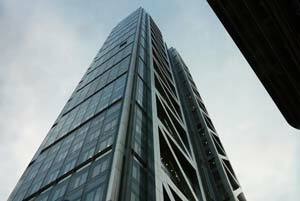 US law firm McDermott Will & Emery were moving from their current London HQ in Bishopsgate to the lofty heights of the new Heron Tower. In fact MWE were the first tenants, taking 2 floors, and will be leading the charge of companies into the new building. We helped ease the big shift with wall vinyls livening up common areas in the swanky new offices. 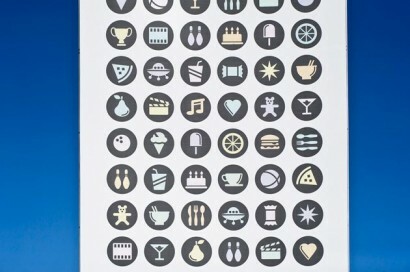 A screen-printed look was created with ultra-matt materials produced in a massive single sheet and applied by display specialists Olympiad signs. King's Cross Central the property company behind the massive redevelopment of the 27 hectare site north of the classic station wanted to promote event opportunities for 2012. The quality and varied character of the development site offers a multitude of possibilities for staging sports, promotional and sponsorship type events. We produced a brochure to accompany presentations and tours of the site spread over 3 days with a directory theme designed to explain the different options available. 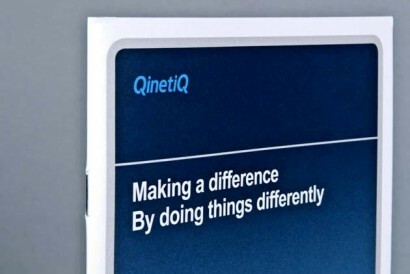 QinetiQ have been going through a period of change and they wanted to re-communicate what the company does best and explain how the organisation works in UK, US and global markets. Distilled down they work out very smart solutions to incredibly complex and difficult defence problems. We created a pocket-book brochure containing a collection of case study examples to simply get across the depth of expertise and explain a sample of their best high quality solutions. 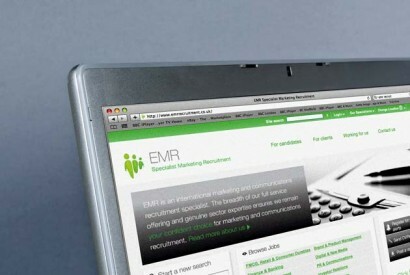 Global recruitment specialists FiveTen Group had rebranded the whole business but still needed to roll-out their new branding across individual company websites. We collaborated with online specialists Huddle Creative and were asked by FiveTen to create a very consistent look across the Group. We devised a simple structure that would work within the CMS being delivered and allow FiveTen Group to cross-sell their services to a wider, global audience. 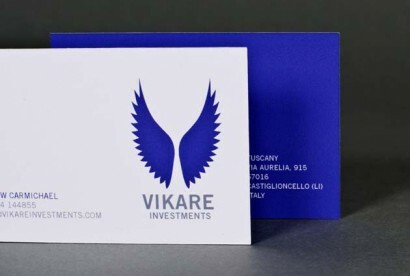 Vikare Investments are an independent property company specialising in offbeat, slightly leftfield building development projects in Europe. Their latest involved redeveloping a whole Tuscan hilltop village. 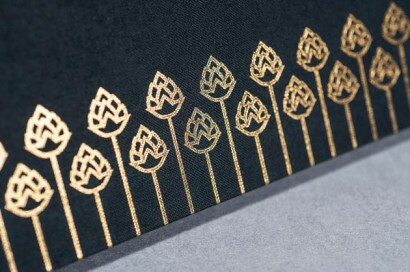 They needed a new identity which retained the feel of a rock solid financial group but avoided old school cliché. QinetiQ are heavyweight problem solvers for the aerospace, and defence industries. They devise solutions for really complex, technical challenges such as making helicopters work in the worst conditions, designing clever micro-robotics in bomb disposal vehicles, and creating solar-powered high-altitude aircraft that can fly for days. 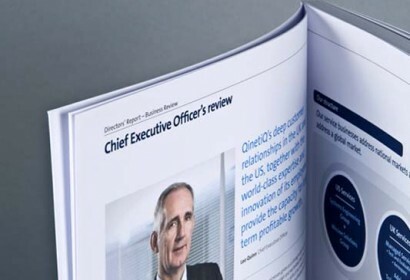 We designed their latest Annual Report which had to incorporate a new CEO strategy and explain in a very simple and clear way a business that's anything but simple and straightforward.